SlipToGrip GRIPPER Multi Size - Make 4" , 1", 2", 1"x2"Pre-Scored to Make Multiple Sizes 3/8"Heavy Duty Felt Core With Anti Slip Rubber - No nails, No glue. Patent Pending. REGISTERED BRAND ON AMAZON: Gripper Square Furniture Pads Prevents Furniture from Sliding. "Pre-Scored" for EZ Cutting to Make Multiple Sizes. Dual technology by SlipToGrip - a leader in non-slip and traction. 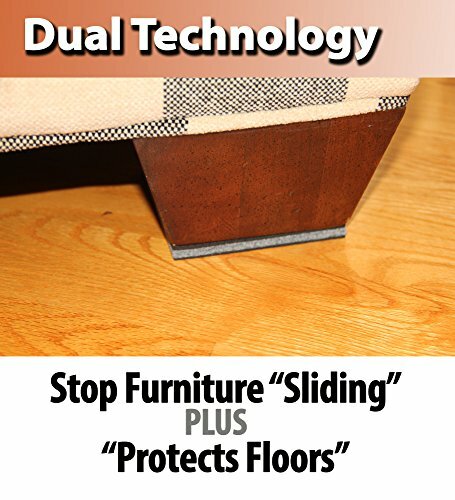 Newest Non-Slip Furniture Pads are perfect for ALL furniture. Furniture Stays in Place! Dual Technology - Anti Slip Rubber with 3/8" Solid Felt Core. Pre-Scored Allows you to make almost Any Size -- Saves you Money. No Adhesive Necessary. No Nails. No Glue. Anti Slip Rubber Grips Furniture AND Floor. 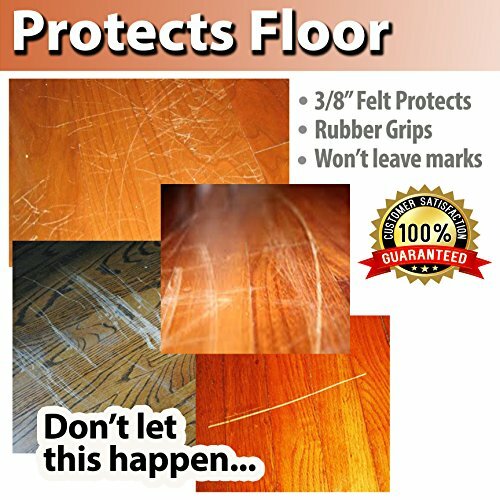 Protects and Safe on All Hardwood and Hard Floor Surfaces. Can be used under Heavy Conditions. Place under legs of furniture. Helps level furniture too -- sitting on a carpet and hard floor. Prevents heavy and sharp furniture legs from penetrating through to damage to any type of floor surface. 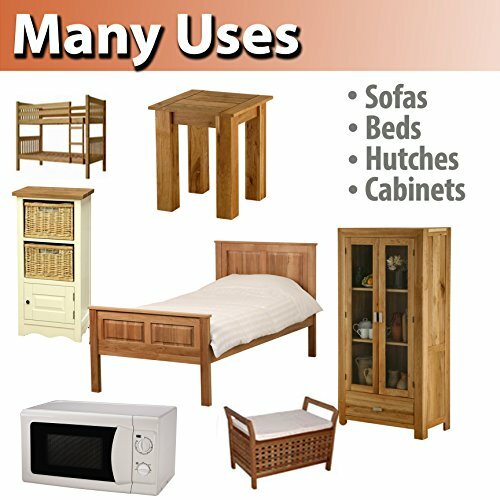 FURNITURE USED WITH: Sectionals, Sofas, Chairs, Recliners, Tables, Beds and any furniture meant to stay in place. 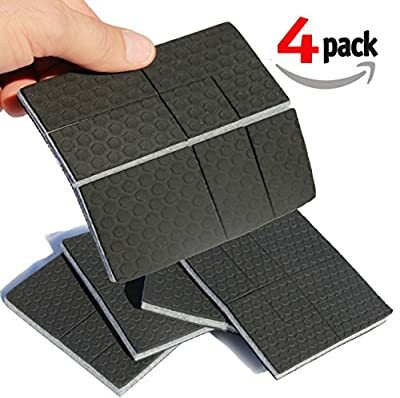 REGISTERED BRAND ON AMAZON: Protects and Anti Slip Pad with MULTIPLE SIZES - already "scored" to make easy cutting. 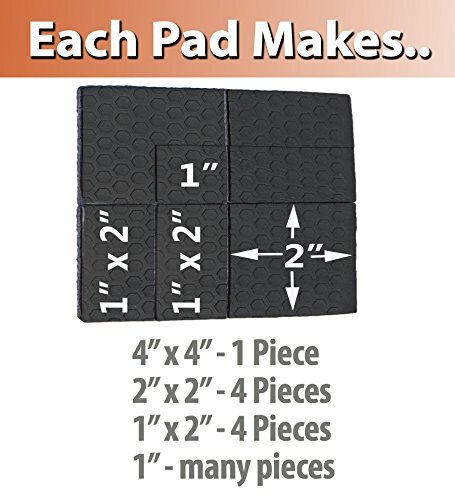 Sizes 4"x4", 2"x2", 1"x2", 1"x1", 2" L Shape - You can make sixteen 2"x2" pads for example. Why buy anything else? Solid Felt Core. Anti Slip Rubber will not mark floors. Protects floors. No nails. No glue. Anti Slip rubber grabs leg and floor. Non adhesive. 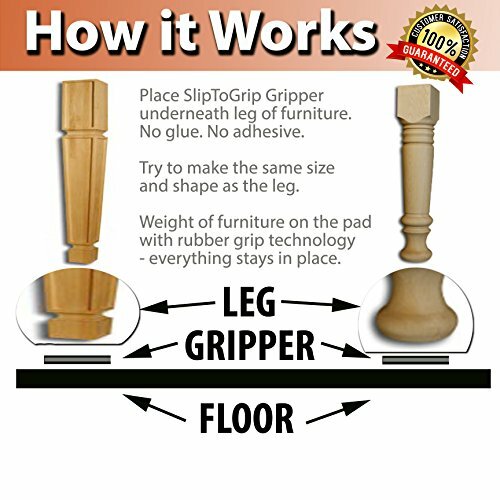 Use under Sectionals, Beds, Chairs, Recliners, Tables, Ottomans, Sofas FLOORS: Safe and effective on Hardwood, Laminate, Tile, Vinyl, Marble, Linoleum, Concrete - All hard floors Includes Adhesive Strips to secure pad to leg bottom to TEMPORARILY SECURE while placing other pads (only use if needed to help align grippers). Registered US Trademark - SlipToGrip. Patent Pending. Exclusive Rubber Layer -will not leave marks on floors. Waterproof - won't allow moisture to raise up to wooden legs. Only by SlipToGrip the leader in traction.